The Snapware Pyrex Glass Food Storage Set is an essential solution for healthy and effective food storage. Proper food storage is important. It helps keep your food fresh longer. It is also integral to meal preparation (for those of you who prepare your meal a week in advance). Glass food containers means less waste with disposable plastics. You can reuse these Pyrex containers for years and years. The containers are made of strong Pyrex glass. The lids provide a strong, airtight, and leakproof seal. It is BPA free. I have used this set for food preparation and food storage for years. Haven’t experienced any material defects yet. I have dropped the Pyrex glass several times from my kitchen counter. Surprisingly, none of them have shattered yet. Snapware’s food storage lids are also very strong. The lids are airtight and leakproof. I have packed soups in one of these containers. They were in my backpack upside down with no leaking. I have found the Pyrex containers to be perfect for food storage and for packing your lunches or dinners in advance. Using these glass containers means no packaging waste whenever you consume a meal. It is always healthier to use more glass than plastic. There are many advantages to the Snapware Pyrex glass food storage set. Mainly financially and environmentally. We wrote an article about the benefits of glass and the steps you can take to use more glass. You can read “Quit Plastic Today – Use Glass!” here. 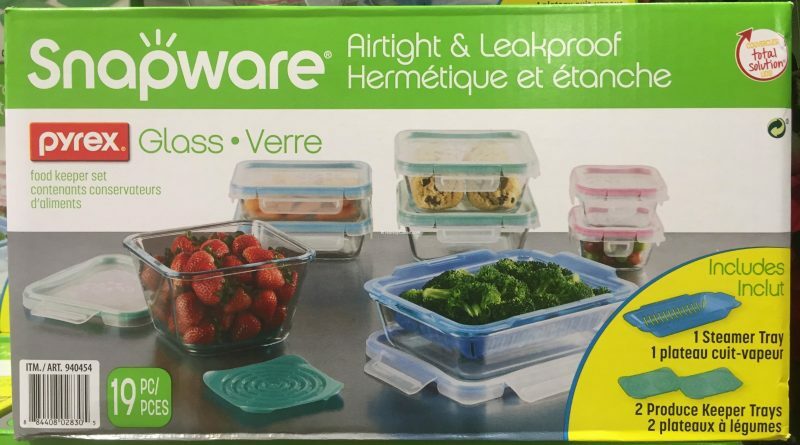 Looking to Purchase Snapware Pyrex Glass Food Storage Set? Shopping for the Best Food Storage Containers? The Snapware Pyrex Glass Food Storage Set is wonderful. Back to the good stuff! Take a look at the detailed review of Snapware Pyrex Glass Food Storage Set below. The Snapware Pyrex glass 19PC food storage set is an indispensable item for your kitchen. I use it every day to store food. With its airtight and leakproof seal, food lasts a bit longer than being in a bag or sitting in the open. It’s great for refrigeration. 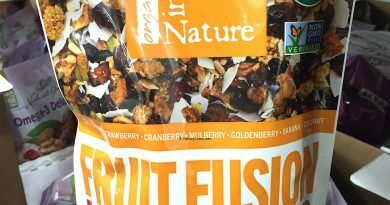 Wonderful for packing lunch or dinner to go. 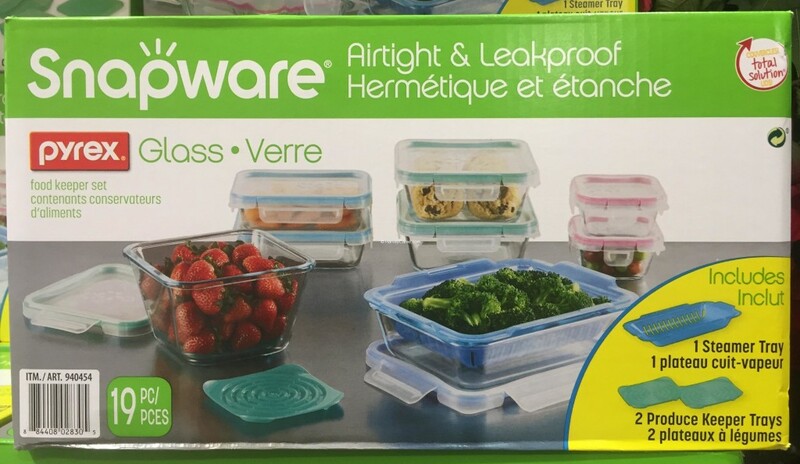 Below you can see a comparison of how the Snapware Pyrex glass 19PC food storage set can protect your food and make them last longer. The produce keeper tray can keep your fruits and vegetables fresh for up to twice as long! A steam tray is also included. The Snapware steam tray can help you steam food while retaining the nutrients of the food effectively. Give the Snapware Pyrex glass food storage set a try. At the price point, it’s a great deal for everything you’ll get. The Pyrex glass containers last a very long time. Snapware also has amazing customer service. So rest assured if you ever face any defects with their container products, they will be able to resolve it quickly on your behalf. The four latch locking mechanism is very solid. I haven’t experienced any leaks even with soups and other liquids in the container. You can also use the Snapware containers to hold food. 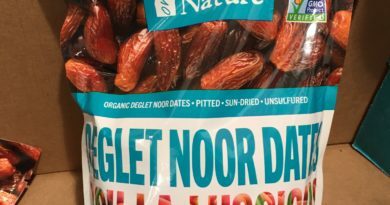 Instead of using a disposable Ziploc bag, which you will throw away in a few days. 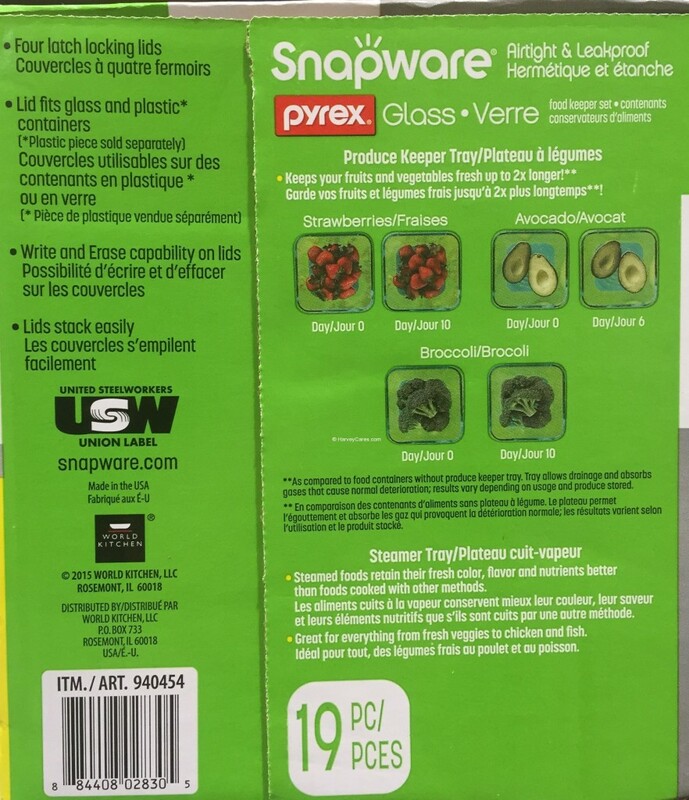 The picture below shows the Snapware glass containers that are in the package. 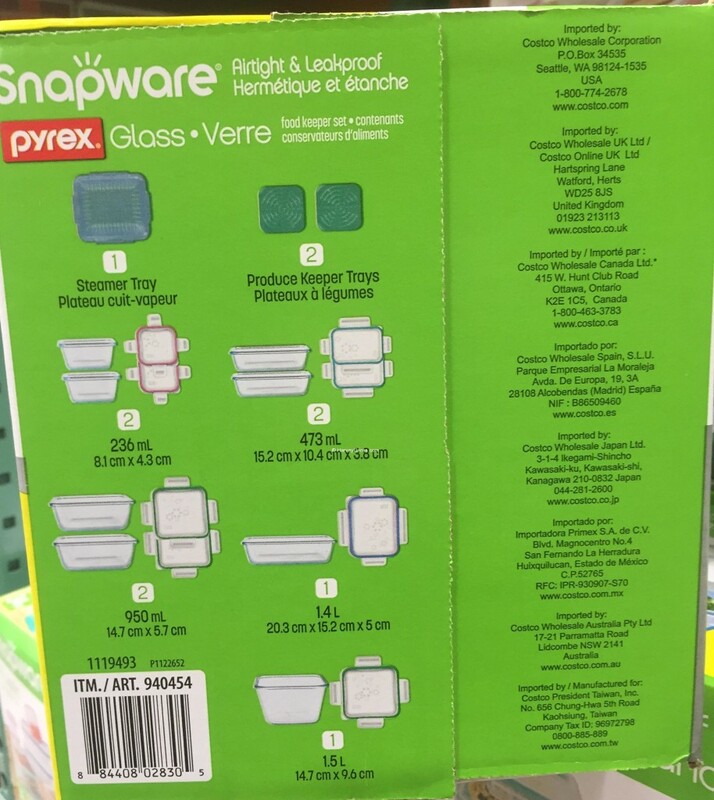 You can see the dimensions and what exactly is in the Snapware Pyrex glass 19PC food storage set. Snapware Pyrex glass 19PC food storage set packaging side description below. I have not seen a discount on this product before. 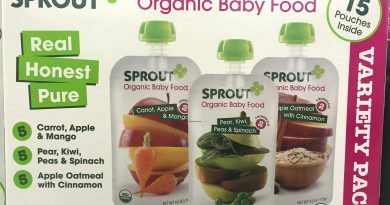 The item is currently available on Costco.com – with a $7.99 shipping and handling charge. 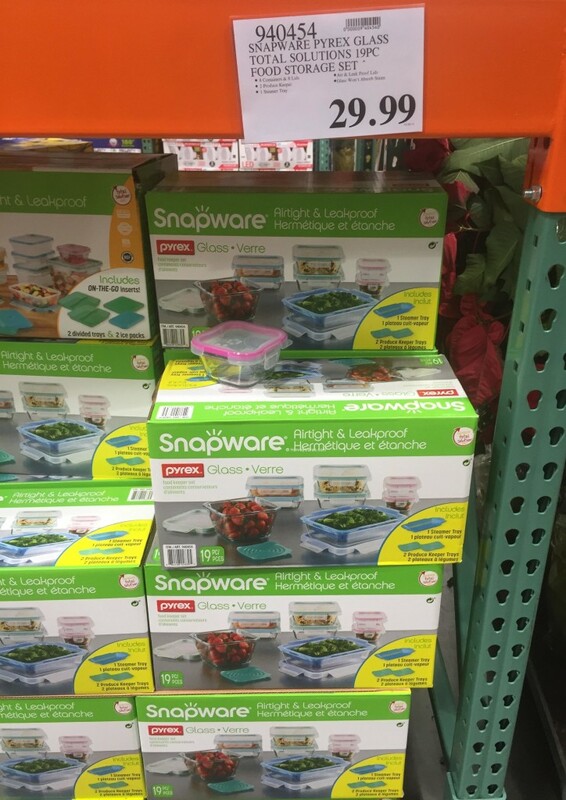 Have you bought the Snapware Pyrex glass 19PC food storage set before?